anyone familiar with his work..? Potters mark is similar but not quite the same...any ideas who the potter might be? 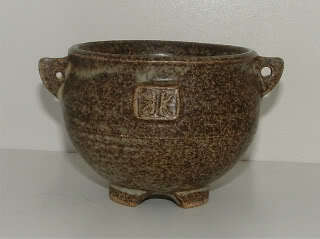 I have some John Parry pots, two sorts of marks, but it's possible that this one is another. John Parry was an Auckland potter who had his studio in Point Chevalier. 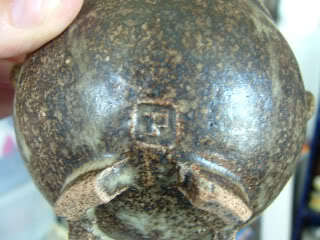 Most of the work seemed to be domestic ware, and some of his pots are decorated with sprigs....like this one. But who can know for sure?